It’s hard to change our habits. That’s where your personal health plan comes in. It’s YOUR unique plan to improve YOUR health. Your mental and physical health! Make a plan, track your results, and CHANGE YOUR LIFE! The first step to creating your personal health plan, is to figure out what areas of your life need help. You probably have a pretty clear idea of what areas of your life you need help with. But just in case let’s take a look at some major life areas and some signs that they might be a problem area for you. How is your physical health on a scale of 1 to 10? How are your energy levels? Your stress levels? Do you suffer from any diseases? How is your digestion? Our physical health is directly linked to what we consume. And by consume I mean many different things. I mean the things we eat, drink, watch, and put in/on our bodies & homes. Yes, your shampoo (with all those toxic chemicals) can cause health problems. The idea is to find out what things are causing your health problems and fix the cause not only treat the symptoms. For example, you might be getting headaches from dehydration every day. Now there are two ways of treating this, by treating the symptoms, e.g. taking an aspirin. Or, by fixing the cause, e.g. drinking water. This may seem like an obvious example, but as things become more advanced, so do the causes. Most health problems stem from your diet. And that is especially true for digestive tract issues. So diet is definitely something you should look into adding to your 4-week health plan. Other great ideas include, natural beauty products, and natural cleaning products. If you want a free copy of the meal planning printables, enter your email in the box below and I will send it to you. I truly believe that diet is a root cause of many physical and mental illnesses. I’ve also done a lot of crash diets. Which generally don’t work for me. Paleo…Keto…Whole 30…I failed miserably at all of them. Then I was introduced to the elimination diet. If you do a quick google search about elimination diets, you will probably find 100 different variations. They are all useless to you. See they are cookie cutter. But not everyone has the same sensitivities to food…so it’s pointless to start a new diet, do all of the planning, paying for, and hard work of sticking to…if it’s not going to get you any results. Go to the doctor and get a blood test to check for food and chemical sensitivities. But that test is rarely covered by insurance, and the cost is generally around $500. If you have that kind of disposable income, this would be a great investment. If not, there are some other options. 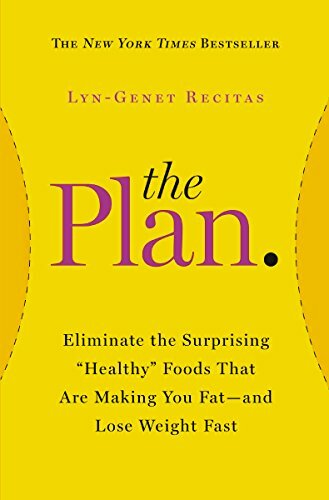 The best elimination diet I’ve found is “The Plan” by Lyn-Genet Recitas. This book starts you on a “cleanse” and helps you to introduce new foods, all the while testing for food sensitivities in the form of physical or mental reactions to foods. It’s the best elimination diet I’ve come across because Lyn-Genet has established a baseline of foods that are almost universally healthy to begin with, and then slowly introduces new foods, in small enough portions as to help you identify triggers. Remember that beauty products with harsh chemicals can also cause reactions, which can mess up your data. · Meal planner, grocery list, recipes printable, and school lunch & snack planner. · After-Therapy Notes – What did you learn? What do you need to remember? · New Habits Goal Setting, and Tracker – What makes it difficult for you to incorporate healthy habits into your life? 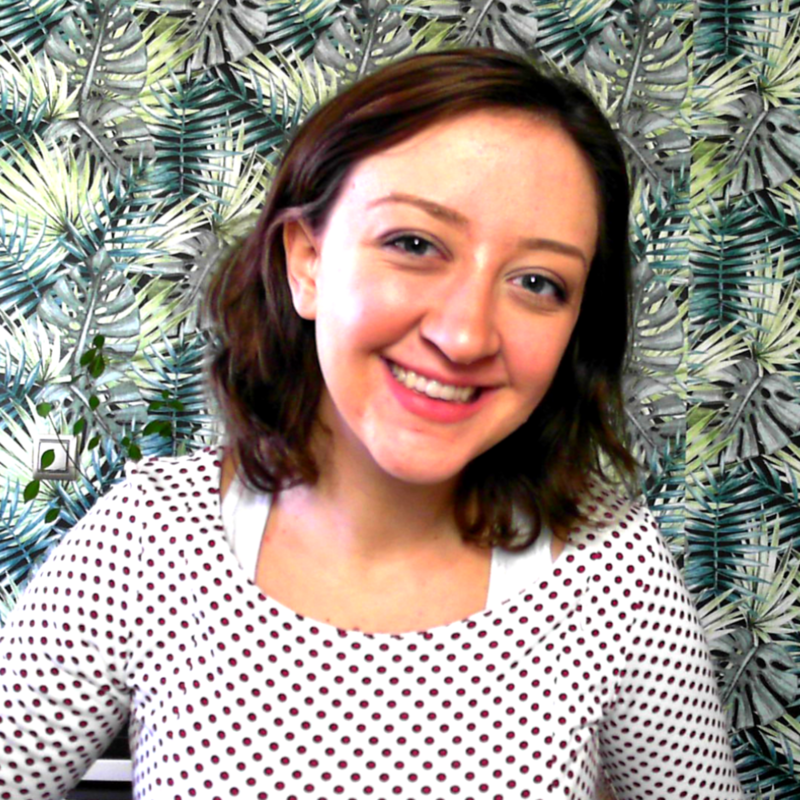 · Find Your Unique Self-Care Stye Guide – Learn how to make self-care special for YOU! “I am enough. Who I am is enough. What I do is enough. What I have is enough." Now back to the post…. Your mental health is a huge factor in your physical health, and the health of your soul. Your mind can cause huge disruptions in your life. For example, if your mind is constantly tensed, you can cause a tension headache. If your mind is too preoccupied with making money, you’ll forget about your souls purpose on this earth. Your mind can also be changed or manipulated easily by your surroundings. Including the things that you eat. So consider these questions and decide if you want to include it in YOUR 4 week health plan. How is your mental chatter? Is your mind constantly moving? Thinking about the past and the future? How grounded and present do you feel on a daily basis? How is your mental health in general? Is it easy to get out of bed in the morning, or fall asleep at night? Learn about how to calm your mind, what tools, exercises, and habits to increase to calm your anxious mind. Also learn about what things hurt your mental health. It’s time you took your health back! And no longer let anyone control your life. start living a healthy life, today! Like a good story, recipes transport me. I can get lost for hours in lists of ingredients and shiny photographs of food. But when I’m ready to roll up my sleeves and actually cook, I only reach for a handful of books. These days, with my busy schedule and my always-hungry family, I rely on accessible, established recipes. I still love to experiment in the kitchen, but I save the whimsy for my less demanding weekends. My reward is a satisfied family and a personal sense of accomplishment and pride. Tossing and turning….mind going 1000 mph. And for the life of you, you just can’t seem to quiet your mind and fall asleep. It can be VERY frustrating. Especially if you have to work in the morning. You’ll just watch the clock. Getting angrier and more frustrated. The bang-your-head-on-the-wall, down-on-your-knees-praying kind of frustrated. Until you give up and decide to watch TV for a few hours before falling asleep on the couch. So if you opened this article to find a quick fix to this problem…. But if you’re willing to develop the habits, and use the tools to truly put insomnia in its place once and for all, you’re in the right place! Too many drinks at a party. Halloween weekend is choc full (excuse my play on words) of tempations. Your kids will be bringing home bags and bags full of candy. Or you will have left over candy from the trick-or-treaters. Or you will be out at the bars with friends paying too much for signature cocktails…and going home…well not so sober. But what if you could make a plan for Halloween. A plan that would lead you through the weekend mostly unharmed. You could enjoy a few pieces of chocolate without going crazy. You could have a few drinks and not spend $100s of dollars. You could keep that bowl of candy in the cupboard till it goes stale. See staying healthy is all about making the right choices ahead of time, before those choices slap you in the face and you choose the wrong one! How to resist tempations at Halloween by making a plan. In recent studies, it has been linked to obesity, heart problems, and thyroid problems (among other things). And where does inflammation come from? The foods we eat, and our environment! PLUS! Eating the wrong foods can cause an imbalance in the gut flora, and even disrupt normal hormonal function. And lord knows we’ve seen MANY reminders of the importance of the gut flora to overall health. It affects energy levels, brain function, mood, constipation, diarrhea, migraines, bad breath, and even how often you snap at your kids. It’s true…your diet affects your mood and your tolerance to stressful situations! And yes, we’re all busy! Having things planned out is truly spectacular. So instead of arriving home at 7pm, and realizing there’s nothing in the fridge. You have a frozen meal you prepared, or at least have the ingredients for a fabulous, healthy dinner. If not, you’d be ordering in AGAIN! I’ve created a few meal planning free printables. These are truly awesome when it comes to planning healthy meals in advance for you and your family. They are also very helpful if you’re on a diet, and need to have the meals planned in advance. In our food, our cleaning supplies, our air, and even our clothes and furniture. And it’s also no coincidence that our cancer rates are growing. Our bodies weren’t meant to handle this much toxic load. So as mothers, and responsible people, how can we reduce the toxic load of our children and ourselves? One of the most over-looked places that we can reduce the toxic load, is through school supplies. Bullet journals are really awesome. You can design your planner or journal EXACTLY how you want it to be. Plus it allows you the freedom of including pages that most journals might not have. Plus Plus they are cheap and offer a creative outlet. Plus Plus Plus you can experiment and find out what works well for you! So if you’re a healthy minded person, take a look at these 7 page ideas for YOUR healthy Bullet Journal. Walking around with red bumps, scars, or scabs on your face is scary. You’re always looking away so people don’t see your acne. You’re always worried about covering the acne up with makeup. Maybe you never allow yourself to leave the house without makeup. It can be really sad, and you can lose your confidence. But the truth is, you have control over your acne. So if you want to clear up your acne…and you want to do it naturally without the terribly damaging acne medications. We’ve all seen the natural beauty recipes. Well if you’re anything like me, you see the recipe, you want to be natural, you want to organicize anything that touches your body….. But then you read the ingredients list. And you begin to feel overwhelmed….borax? what is that? Look at that kitchen remodel on a shoestring budget!? Only 25$?! HOW IS THAT POSSIBLE! ?